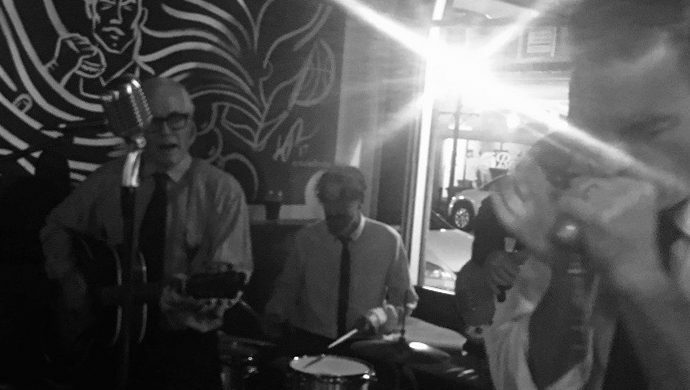 Johnny-O and the Jump-Out Boys is a group of musicians dedicated to bringing back the sounds of the 1950s and 1960s blues greats. George “Harmonica” Smith. Big Walter Horton. Sonny Boy Williamson. Junior Wells. Big Walter Horton. Oh, and of course… Little Walter. You’ll hear covers of familiar tunes and even a few that you probably never knew existed. Their show is a combination of storytelling and song, so don’t be surprised if you learn a few interesting things about the original artists who made this music so great.